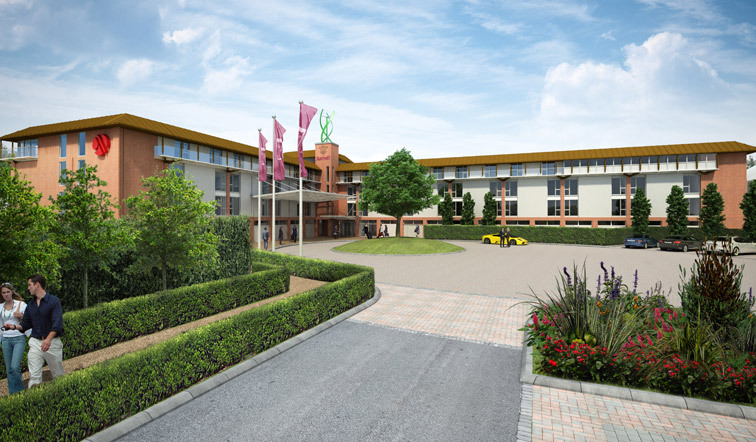 This project provided a significant improvement of the existing facilities at Lingfield Racecourse by providing a new stable block, new stable lads accommodation and a new 4-storey Marriott hotel on the site of the existing Silks Stand with balconies overlooking the racecourse. Waterman was appointed by Arena Leisure to redevelop part of the Lingfield Park racecourse to provide improved accommodation on the site together with a 4-start hotel for the Marriott Group which would provide fabulous viewing facilities for the racecourse as well as offering excellent conference facilities and accommodation for the adjoining golf-course. The hotel was constructed on pad foundations using reinforced concrete to help with the sound attenuation between the bedrooms and included executive suites, leisure club and swimming pool. The work included extensive excavation with works on a difficult site and adherence to stringent conditions imposed by the Environment Agency, requiring a complete redesign of the flood strategy and associated surface water drainage, which was provided as SUDS into the gravel.